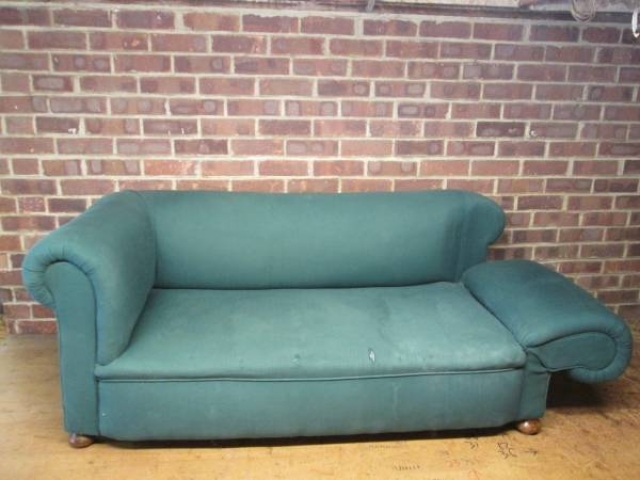 A lovely proportioned two-seater drop-arm sofa. 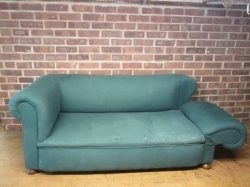 This quality sofa sits on turned frontal bun feet and has a fully working drop-arm. 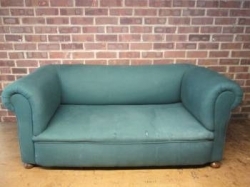 Just waiting to be restored and re-upholstered in your choice of fabric. Please phone for more details. Dimensions - height 68 cms, width 160 cms, depth 82 cms.